Many public school districts are seeking to expand or launch summer learning programs, especially for children from low-income families. Voluntary summer learning programs that offer a mix of academics and fun enrichment activities can help address the achievement gap, potentially helping the most vulnerable students achieve better academic and social-emotional outcomes. The challenge facing many district programs is the competition with many other programs and activities in the community vying for the attention of parents and students. 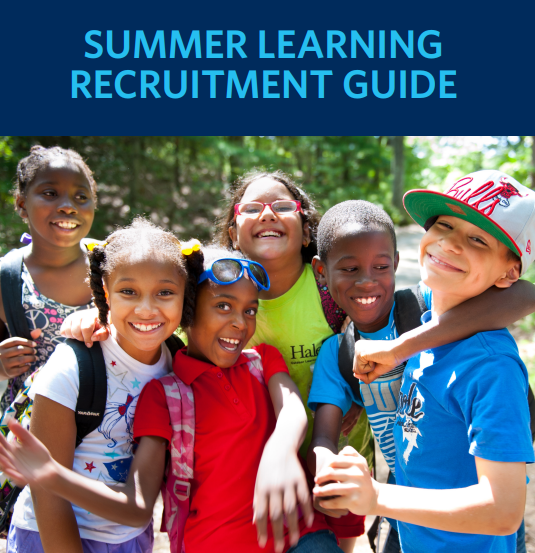 Join the National Summer Learning Association and the Afterschool Alliance for a webinar featuring The Wallace Foundation’s newly released “Summer Learning Recruitment Guide,” a guide based on the experiences of five large urban school districts and their community partners that recruited thousands of children for voluntary summer learning programs. Speakers, including representatives from one of the participating districts, the Rochester City School District, will join the conversation and walk attendees through the eight key steps to successful summer learning recruitment.